September « 2009 « Paul Shih – Toy Designer, Illustrator & Artist. …..time to kill this little beast! first say goodbye to my PANDARA(s), they have all been shipped out in the past 3 days, on their way to new homes around the world! 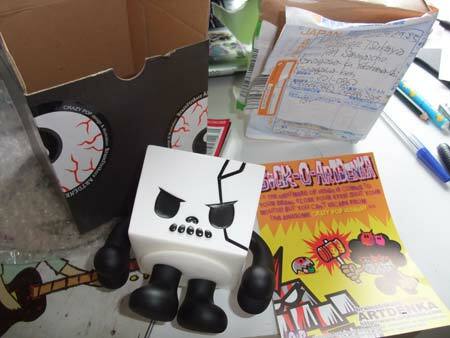 Angry Woebots is heading to Oz today, if you are lucky enough, you could bump into him in Melbourne this week! Harlem23 – Print Art Gallery Launch Tonight! Harlem23 presents The Print Art Gallery! 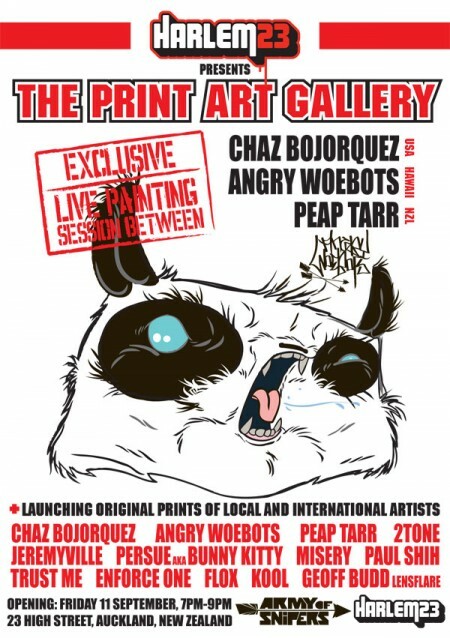 Chaz, Angry Woebots & Peap are going to do a live painting together!! plus showcase some local & international art prints!! come down tonight if u r in auckland, should be a good one! Posted in ART, EVENT | Comments Off on Harlem23 – Print Art Gallery Launch Tonight! p.s. HIP HOP LIVES HERE was awesome, first time seeing chaz work in person, they are mind blowing!! 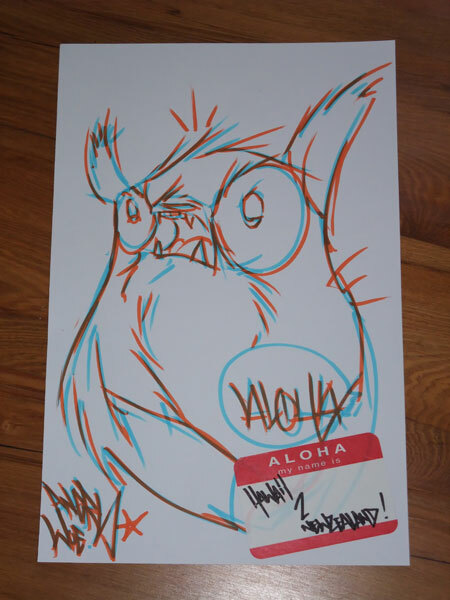 and angry weobots is one of the nicest artist out there!! photos from the night are here! Posted in EVENT, PRODUCT, TOY | Comments Off on PANDARA SOLD OUT! Posted in PRODUCT, TOY | Comments Off on PANDARA pre-order!